A compact bar area in Mt Pleasant with a sink for convenience when entertaining. The bar top with waterfall end is Caesarstone “Cocoa Fudge” and the bench top is Caesarstone “Buttermilk”. 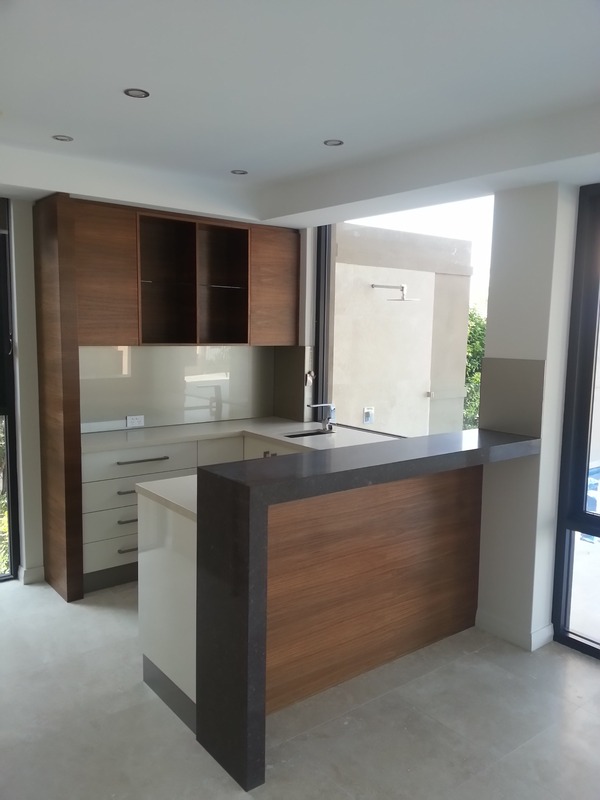 Walnut veneer overhead cupboards and back panel contrast with the “Parchment” vinyl wrap doors and drawers.